It is amazing that Cr Gary Baildon – (who has taken the seat of the previous Division 7 councillor who voted according to his community’s wishes) and who also promised he would endeavour to work with community interests for a solution to the Black Swan Lake controversy – has shown no evidence of honouring this commitment, but has now become the instrument of its destruction. It is also noted that Mayor Tom Tate is on filmed record as agreeing to protect the Lake at a public meeting prior to the Election. We are unaware of any report that says the lake is toxic to wildlife apart from the 2014 report by a NSW spotter catcher. It appears that Cr Baildon is now resurrecting the old “ toxic” furphy written by a person who didn’ t bother testing water quality even if qualified to do so, but which he obviously isn’t. This spotter even said, ‘A pair of Black Swans are sitting on eggs but no other species appear to be breeding’. This is not a valid or recognised report from a qualified ecologist but the mere observation of a spotter catcher, dated the day before trucks of fill arrived virtually unannounced at the lake, to dump their contents on top of nesting swans. It has no scientific relevance or status. What is relevant is the Report by Birds South East Queensland of the forty species which have been observed at the Lake and the photographic record collated over the past three years, of the variety of native and migratory birds and nestlings on site. Why is Cr Baildon publicly quoting from this “ report” on “ Lake infilling” (yes, the word Lake is used) by a spotter catcher, as a justification for completely destroying the current environmental and place capital value of a public asset – and irrevocably altering for the worse – the character and amenity of the neighbourhood? The spotter catcher went so far as to say that birds and other wildlife were dead and dying around the Lake. Rowley Goonan, of Wild Bird Rescues Gold Coast has completely refuted this statement. 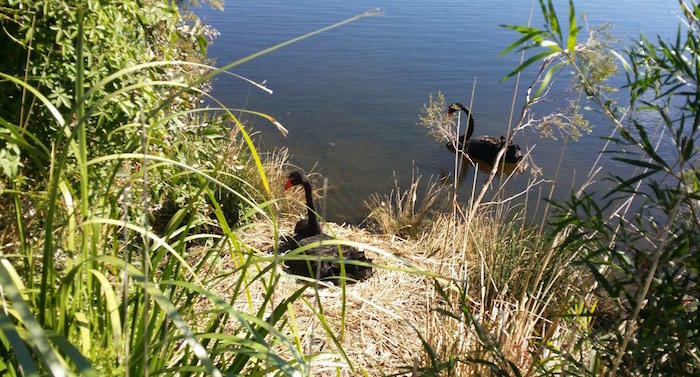 This long-time reputable GC wildlife rescuer has said that although he has had to remove dead and dying birds from many places, he has never had a bird death due to toxicity at Black Swan Lake. The Mayor and Councillors have shown they are completely out of touch with what the community expects when they voted to gazump the previous council’s decision to protect and properly manage this lake, its wildlife and remnant wetland forest. It’s a pity our elected representatives are more concerned with money and the glory of next year’s Commonwealth Games than the job for which the community pays them – looking after us and our environment. The controversial decision to obliterate this valuable asset will continue to resonate way past the Commonwealth Games, and Councillors who have been party to this situation should immediately start negotiations with the Turf Club to provide a sustainable and 21st century solution acceptable to the public rather than what suits the big end of town. It is also a fact that it is the Gold Coast City Council’s job to monitor and rectify problems if contaminants from stables enter the lake. Council should have been doing this for the last 30 years. This includes the time when Cr Baildon was Mayor of the Gold Coast. It seems that Cr Baildon has completely ignored the comprehensive August 2016 Water Quality Monitoring report and analysis of water quality by the respected Bulimba Creek Catchment Coordinating Committee Inc Water Team – a report that was presented to the Mayor and Councillors just before Christmas 2016. The difference between the scope and quality of the two reports is staggering. The 2014 ‘kiddie’ report by the NSW Spotter Catcher has one and a half pages of findings and summation, plus an 18 line list of animals he found, 12 small snapshots he says were taken around the lake, and a Google map of the area. 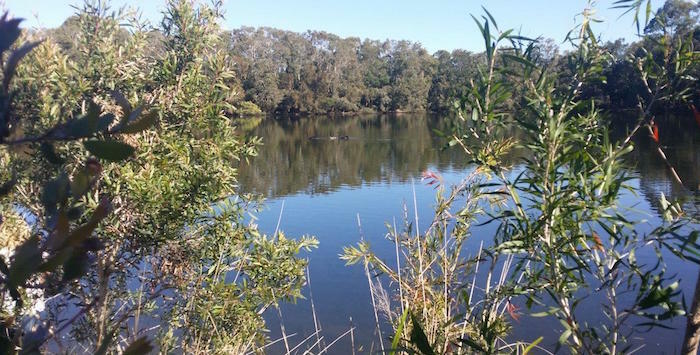 The report and findings by the Bulimba Creek Catchment Water Team report is a 24 page NATA report (National Association of Testing Authorities [Australia]) – NATA Accredited Laboratory 825, Accredited for compliance with ISO/IEC 17025. NATA has World Recognised Accreditation. How can councillors even consider the kiddie report of 2014 and hold it up as “evidence” when they have in their hands a comprehensively analysed water quality report prepared by NATA, the World Accredited Australian Testing Laboratories? Google it and find out how respected NATA is worldwide. The GCCC is making an international laughing stock of itself by trying to discredit such a company. It is past time to reverse last year’s ill-informed decision taken by the Mayor and all but 3 of the present councillors to fill in the lake. Our thanks go to Councillors Peter Young, Daphne Macdonald and Bob La Castra for voting in accord with the community’s expectations of preserving the lake and its surrounds. It is part of an Equine Precinct but is the Turf Club more worried about making money than guarding the well being of horses? Why would owners and trainers of valuable thoroughbreds want to have cars and rowdy people wandering around their animals? These animals are easily spooked. At the 2014 Melbourne Cup, Araldo had to be euthanized after breaking a leg that got caught in a fence when someone waved a flag and spooked him as he returned to the yard. Now the Board of the Turf Club (and the GCCC) wants to let loose people and cars amongst stabled horses worth many thousands of dollars! It beggars belief. The alternative is more sinister. If the Turf Club and the GCCC know this and then later down the track “ finds it doesn’t work” , will the whole area then be up for sale to wealthy Australians or foreign consortiums for building resorts and casinos? That’ s exactly what many of the rate-paying public believes is happening. We’ ve seen too much of it lately koala habitats bulldozed; magnificent, healthy, 100 year old character trees such as Moreton Bay Figs and Cypress Pines chain sawed; parks given to developers to destroy; bowls clubs (Google: the Crackerjack Mayor) and tennis clubs proposed for destruction so someone can get rich; stately homes demolished and high rises built in their place, and people crammed into housing, cheek by-jowl. We see our patches of nature disappearing with increasing rapidity. Nobody asked us if that is what we want. Those in positions of power just take it upon themselves to destroy our environment at will. Instead of pontificating from the ivory towers of Council Chambers, Councillors should speak and listen to their constituents They might actually learn something about public opinion and the way we see them. It may come as a surprise to the Mayor and Councillors, but people need a balance between hectic urban living and the calm of the natural environment. That balance is getting way out of kilter. For our well being, we need our little patch of bush right where it is. We need Black Swan Lake with its forest and wildlife. A wildlife refuge is the perfect partner for horses in the Equine Precinct. Wildlife doesn’t hoon around in cars or party into the night. Horses can be walked peacefully along the tracks and crop grass under the trees because the birds won’t spook them. It’s time to return this area to public space as was always intended, and not be controversially handed to the Turf Club to destroy. Black Swan Lake, Gary Baildon, Gold Coast City Council, Tom Tate. council should be happy to have a tranquil area in this mad metropolis. Too many developers are in this town. You, the council, should remember the reasons why you were elected. By the people who live here, not only now, but for all those years when we were the envy of the nation, not a concrete jungle.